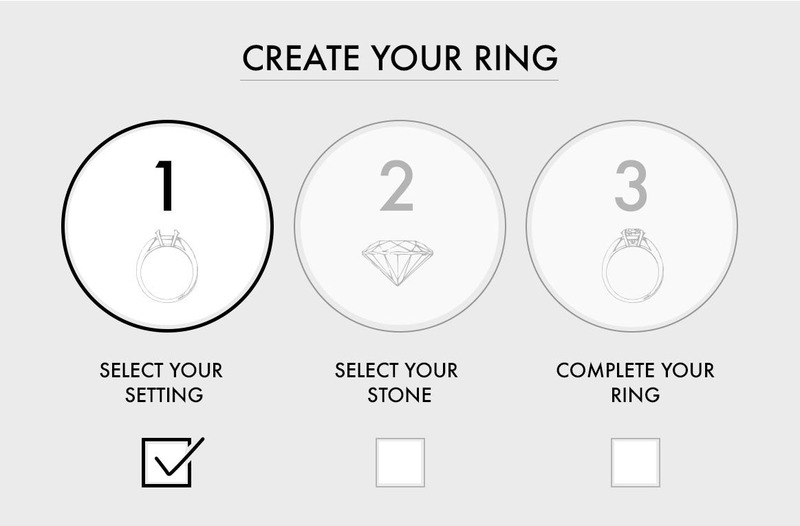 You've added a rings setting to your cart. To complete your ring, please browse our selection of diamonds. You've added a diamond to your cart. 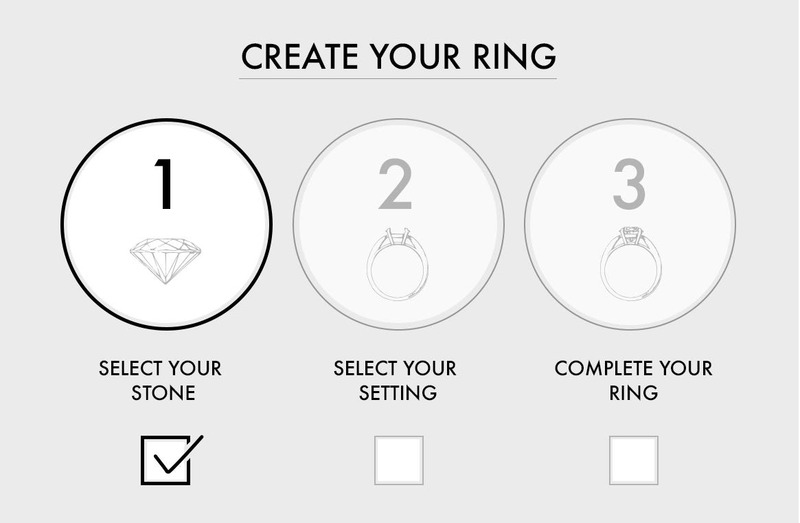 To complete your ring, please browse our selection of ring settings. A traditional and elegant ring choice that highlights the stunning beauty of each stone. Discover a radiant selection of solitaire stones in all your favorite cuts, including round, princess, radiant and more. Enhance the beauty of your center stone with a stunning diamond halo. This eye-catching setting provides maximum sparkle at every angle. Add brilliance, sparkle and enhance the rings character with accented stones. Petite Diamonds extended on the band of the ring provide a romantic update to a stunning classic. Truly radiant from every angle, the multi-stone setting accentuates the center stone enhancing the rings overall beauty and brilliance. Perfectly coordinated engagement ring and wedding band sets for a seamless finish. From simple bands to diamond eternity bands, find the wedding band that best compliments your engagement ring. From your first anniversary to your 50th and beyond, celebrate your love with a diamond anniversary band. Express your love and commitment with a diamond or gemstone promise ring we promise she’ll love. Find a wedding band that compliments his style. Discover classic wedding bands for men in 14K White Gold and 14K Yellow Gold. Reeds Jewelers was founded in 1912 in Niagara Falls, New York. Grown from modest beginnings at 1931 Main Street, the Zimmer family has continued to own and operate the company for the past four generations.